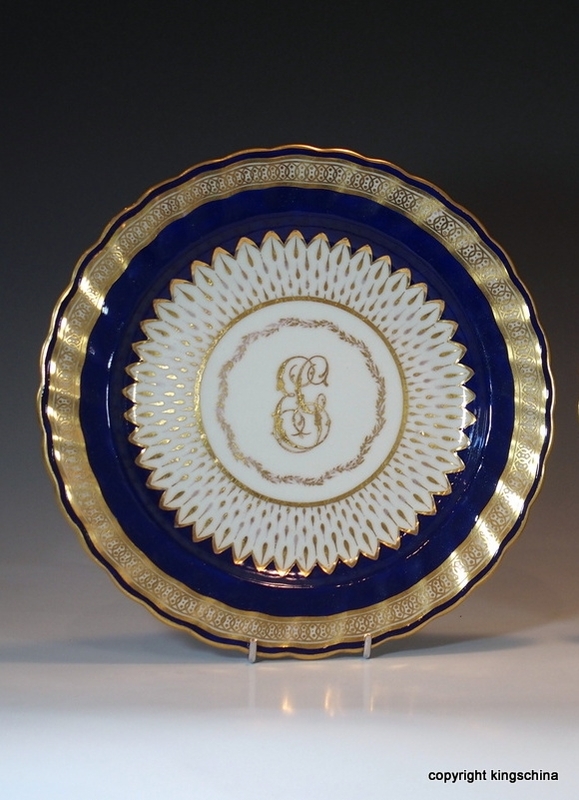 A superb Derby porcelain plate, made for the GOSLING family of Bentfield & Hassonbury, Stansted, ESSEX. Circa 1795. (No crest but Gosling initials). See: "Derby Porcelain", "An illustrated Guide" by John Twitchett. Perfect Condition, minor wear and regilding.